Vehicle and Equipment Leasing Ltd (Vaell) has announced Kes. 960 million Deal with PTA Bank. The PTA BANK, East and Southern Africa Trade and Development Bank has given VAELL US$ 9,500,000 to aid her in asset acquisition. The funds will finance heavy Komatsu equipment that will be instrumental in spearheading the development in the mining sector within the East African region. This partnership is seen as a boost economic development in the region as PTA bank and VAELL, a Kenyan firm, aim to strengthen their positions in the Tanzanian Market. Leasing assist companies to pass on other services such as insurance, remote tracking and maintenance to lessors like VAELL which is its area of expertise at a fixed monthly cost during the rental period. This kind of business arrangement boosts value creation and clients’ business overall growth with less stress on fleet maintenance. This initiative ensures that clients derive as maximum value as possible as well as aiding them to concentrate in their key businesses with less interruption. This optimizes commercial and operational processes. 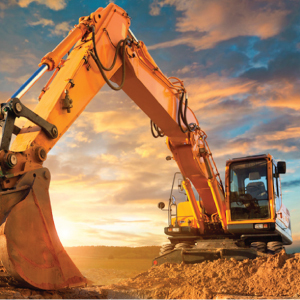 Leasing as kind of business model is cost effective and it is the hassle free way of acquiring heavy equipment that are very expensive for both starters and growing companies. Business is all about becoming more productive and profitable. This is why this model is preferred. Because you only pay for the use of the equipment, you can reduce up-front payments to conserve capital. Plus, you gain the advantage of working with the latest technology.